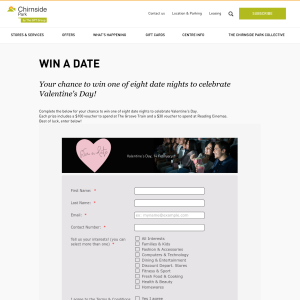 Complete the below for your chance to win one of eight date nights to celebrate Valentine's Day. Each prize includes a $100 voucher to spend at The Groove Train and a $30 voucher to spend at Reading Cinemas. Best of luck, enter below!